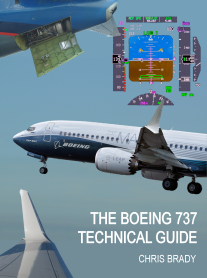 Operators of Boeing 737s will soon have a new option for boosting the range of the iconic airliner, from the 737-200 to the Max series. Long Range Auxiliary Fuel, based in Hergiswil, Switzerland, which is exhibiting at MEBA 2014 with Gainjet Aviation, expects FAA and EASA approval of the supplemental type certificate (STC) for system the early next year. 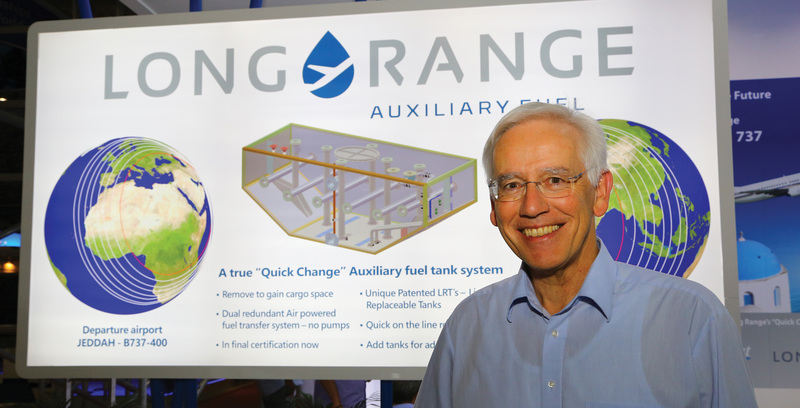 “Our initial idea was to develop a new concept and design of an auxiliary fuel tank systems,” explained Karl Lang, CEO of Long Range, who is also long-time private pilot. “We started with the 737 because of its fleet size in the market. Of the ‘classics’ there are about 2,000. These are the dash 200, 300, 400 and 500.” However, the Long Range tanks will also fit the 737 Max 8 and 9. “The system has not only been developed by Long Range, but the STC will be owned by Long Range. The product is patented worldwide and the name is registered worldwide,” he said. Although not a sister company of Gainjet Aviation, the two companies have some common owners, thus their appearance at the same MEBA stand. The master tank or tanks, which are “hard installations,” contain all the required plumbing, the fuel filling and transfer system and the fuel indicating system. They feed fuel directly to the airplane’s center fuel tank. After installation of the basic provisioning kit (one master tank, the rail system and a cockpit panel) by an MRO, the system is ready to fly. Slave tanks, which fit through the 737’s standard forward and aft cargo doors, can be installed or removed at any time by two line-service personnel, using a fork-lift and no special tools, in about two to three hours, Lang said. The tanks slide down the rail system, which is flush with the cargo floor, and then “hook up” with the adjacent master or slave tank with quick-connect couplings. “Think of Legos snapping together,” Lang said. “No plumbing, wiring or tooling is required to connect the tanks. They are that simple.” The slave tanks have no moving parts, no pumps and no motors, he said. Cabin-air pressure is used to move the fuel from the slave tanks to the master tanks. The cost of a seven-tank configuration holding 2,700 gallons of fuel will be about $3 million, Land said. This will add about 2,400 nm of range to the airplane, figuring an average fuel burn of about 500 U.S. gallons/hour. Bearing in mind that numerous configurations of tanks are possible, as a rule of thumb, the cost of an installation comes out to about $1,000 per gallon of fuel added by the tanks. Long Range is planning to lease slave tanks from numerous locations worldwide, so that operators have the flexibility of adding tanks for specific missions, and then can return them when no longer needed. The company has developed a website, which it plans to make pubic after the STC is secured.